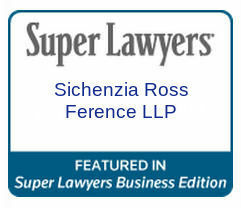 Sichenzia Ross Friedman Ference LLP is a sponsor of the 5th Annual OktoberINVESTfest Conference to be held at the New York Academy of Science on September 28, 2016. The OktoberINVESTfest aims to foster innovation and transatlantic investment by enabling investors to learn about selected high quality American and German unique investment opportunities, both public and private, in the life science and IT sectors. This high energy event is hosted by Invest in Bavaria, the investment promotion agency of Germany’s largest, most innovative state, Bavaria, whose capital is Munich. The 2016 program will feature distinguished panelists and speakers complimented by networking at the Unconference Luncheon. Throughout the day some 40 U.S. and German top investment opportunities will present their innovations and businesses. The conference portion of the event will close with a presentation of Bavarian Innovations. The final highlight of the event will be the Little Oktoberfest, where partners and participants will solidify their new relationships over Bavarian beer and cuisine. Visit here (http://www.oktoberinvestfest.com/) to learn more.